I work for a small, local nonprofit. One night my husband asked me, “So your company is doing okay?” It was the kind of routine question someone might ask, and neither of us was prepared for the response that came pouring out. I answered not with “I guess,” but with the biggest challenges (in my opinion) that the nonprofit is facing today. I hadn’t even realized that these issues had been bothering me so much. I wondered if I should talk to my boss about my concerns, but I felt hesitant. My boss is nice, informal, and understanding, but I still felt uncomfortable bringing up these issues. It’s a conversation I would feel more comfortable with during an exit interview. 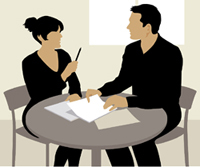 We have mock interviews to help people get the jobs they want. Maybe we need mock exit-interviews to help companies keep the people they need. Mock exit-interviews would give employees the freedom to be honest about their opinions, and give companies the chance to make improvements and retain their best people. They could be held once a year with random staff members, so that it doesn’t feel as if anyone is being singled out. They would be separate from performance reviews, and conducted by non-managers. Co-workers could even take turns doing a mock-exit interview for people in other departments. People. Who are the top contributors to the organization? Who needs our help to be better team members? Purpose. What does the organization do better than other organizations? What do other organizations do better? Process. What three things would you change about the organization today? What one thing can we do to build stronger relationships between staff and partners? So what the biggest challenges facing our nonprofit? A year ago, I would have said that we need to improve our fundraising (raising money and persuading donors) and name recognition (most people in Hawaii have never heard of us or what we do). Today, I think it’s more fundamental than that. The biggest challenge we face is people. We need to engage staff who have the time, interest, and experience in reaching out to new clients and the community; and attract board members who have the energy, community connections, and willingness to fundraise. What challenges does your business or organization face today? Have you ever talked with your boss about a problem or concern? What was the response and could it have been resolved better? Art is one way I choose to make a difference. This month, our local children’s ceramics class finished a small tile mural. It started as a dream of beautifying our neighborhood park with art. I wanted children to come to the park and point out a tile they made last year, or two years ago, or (in the future) twenty years ago. Over four class sessions, with the support and hard work of the ceramics class instructor, Ida, children ages 6 to 16 created a tile mural that celebrates our community. Sometimes we can make a difference with a community venture or a long-term project. Sometimes we can make a difference in just a day. On October 28th, 2017, volunteers are coming together for Make A Difference Day, a nationwide day of service. Every hour we can give matters. * Honolulu, 10 am to 12 pm. Manoa/Woodlawn Adopt-a-Stream. Join Malama Manoa to remove trash and debris from Manoa stream along Woodland Drive. Volunteers must be 12 years of age or older to participate in clean-up events around the island. Minors must bring parent/guardian signed waiver. For more information call 768-4319. * Honolulu, 9 am to 12 pm. Pearl Haven Cleanup. Pearl Haven is the future site of a specialized residential treatment facility with comprehensive wrap around services for adolescent girls who are high risk or who have been sexually exploited. The project is a yard/land clean up and maintenance landscaping day, with a history of the site and the organization and a brief tour. * Kapolei, Waianae, Wahiawa, Waimanalo, and Waipahu, 11 am to 12:30 pm. Honolulu, 12 pm to 1:30 pm. Ohana100 GO! READ. Help promote literacy by reading with children, engaging in literacy activities, and offering them a new book at participating sites around Oahu. * Sunset Beach, 9 am to 12 pm. Pūpūkea Paumalū Community Work Day. Volunteers needed to help maintain the trail from Sunset Beach Elementary School to the pillbox. Bring a reusable water bottle and wear closed toe shoes and clothes you don’t mind getting dirty. Tools, water, and light snacks will be provided. Meet in the SBES lower parking lot. Contact tim@northshoreland.org. * Waimea Valley, 9 am to 3 pm. Waimea Valley Workday. Volunteers are needed to help with native planting and invasive species control on Kalaheʻe Ridge. Email Laurent to RSVP. Ready to run for a cause? * Kailua, 7 am to 10 am, Family Promise 5k Fun Run. Raise money and awareness for families with keiki struggling with homelessness. Wear your Halloween costume. Race/walk starts at Kailua Intermediate School. There are many ways to volunteer in the community, on Make a Difference Day and any day. What kind of difference do you want to make in your community? My best friends from high school is a librarian. Who is your favorite librarian? 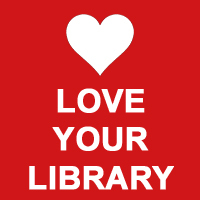 Why do you visit your favorite library? I’ve been thinking a lot about education recently – choosing the right school, the right amount of homework, the right number of extracurricular activities. Recently, I attended an Education Fair and listened to guest speaker Dr. Denise Pope, co-founder of Challenge Success, who lectured about “A Balanced Approach to Success: K through Life.” I appreciate the invitation to join other interested parents, and I offer a big mahalo to Dr. Pope, the event organizers, and welcoming volunteers. The morning began with reflection: how do we define success? How does the community define success? There seemed to be a general consensus that families tend to prioritize intrinsic values like character and resilience, while the community tends to prioritize extrinsic values like high grades/test scores and college admissions. Dr. Pope declared that our values about education should match our community’s values, because we are the community. So why do families and the community define success differently? What message are we sending our children? What can we do to reinforce the idea that character, kindness, and problem solving are equally or more important than grades, test scores, and extracurricular activities? Take a few minutes to consider what success means to you. 1. It’s the kid, not the school. Success is not a straight line, from grade school to college to a good job to happiness, Dr. Pope declared. Attending a “good” school and getting a “good” job will not guarantee happiness or success. Rather, success is a meandering path, with unexpected turns and setbacks, and there is no one path to success that fits everyone. So we need to redefine what success means. 2. Every family needs a family mission statement. Businesses and organizations write mission statements that keep them on-target with their values and goals. Families need mission statements, too, that show how we value play time, down time, and family time – and so that we don’t overschedule ourselves. Play time is unstructured play. Down time is relaxing, sleep, and time to dream – remember, it’s okay for kids to be bored. Family time, at least 25 minutes a day, five days a week, lets us connect with each other and form strong bonds. Then, once we agree on a family mission statement, we need to align our values with our actions. 3. Help schools create SPACE. In addition to curriculum, teachers, and learning resources, schools also need to create SPACE for students: Schedule and use of time (revising student schedules and homework policies), Project and problem-based learning (relevant assignments with a community service component), Alternative and authentic assessment (multiple forms of assessment), C Climate of care (social and emotional learning), E Educating parents, students, and faculty (facilitating dialog and professional development). Dr. Pope’s discussion of the “Alternative and authentic assessment” really resonated with me. In the workplace, we don’t have just one chance to turn in an assignment and we don’t get a letter grade for our presentation. We can revise presentations, proposals, and projects as we go along. In fact, we can build on the questions and comments we receive to create better presentations. 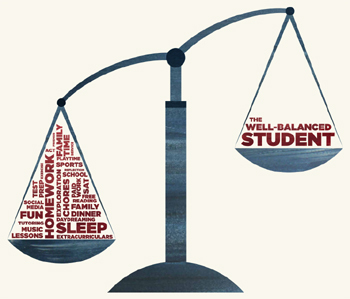 Do your children or grandchildren have a good school-life balance? Do you have a good work-life balance? What one thing can you do to have a more well-balanced life? Two years ago, I read Marie Kondo’s “The Life-Changing Magic of Tidying Up: The Japanese Art of Decluttering and Organizing” (2014). I tackled the clutter at home, donating 12 bags of gently-used clothes and 70 books; shredding 8 bags of old papers; and getting rid of 28 bags of trash. Tidying-up was only partly a success, because I could only tidy my things – everyone has to choose the things that make them happy. Last year, I started a new job and I felt the need for some decluttering inspiration. 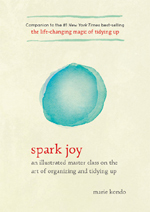 I was happy to find that organization consultant and author Marie “KonMarie” Kondo wrote a follow-up book, “Spark Joy: Al Illustrated Master Class on the Art of Organizing and Tidying Up” (2016), translated from the Japanese by Cathy Hirano. According to Kondo, “Only two skills are necessary to successfully put your house in order: the ability to keep what sparks joy and chuck the rest, and the ability to decide where to keep each thing you choose and always put it back in its place.” There are six basic rules of tidying up: 1. Commit yourself to tidying up. 2. Imagine your ideal lifestyle. 3. Finish discarding first. 4. Tidy by category, not location. 5. Follow the right order: clothes, books, papers, komono (miscellany), then sentimental items. 6. Ask yourself if it sparks joy. “It might come in handy” is taboo. Kondo takes us step-by-step to organizing our home, from the philosophical (tidying up is about facing ourselves) and the essential (fill your home with the things you love) to the basic (put everything in its place) and the practical (all clothes can be folded into squares). There are neat line drawings in calming pale blue (and cute white rabbits!) that illustrate tidying basics, like folding clothes and drawer organization. The graphics really help us visualize what an orderly space can look like. Kondo also shares her personal experiences and what she has learned from her clients. * Personal space: Fill your personal space with the things you love. “If it makes you happy, then the right choice is to keep it confidently, regardless of what anyone else says.” For small miscellany: place them on something, frame them, hang them somewhere unexpected, use them as wraps or covers. For posters or pictures: decorate storage spaces, closets, and cabinets. * Closets: Fill your drawers to 90% full so you won’t feel compelled to fill up the space. Follow the four principles of storage: fold it, stand it upright, store in one spot, and divide your storage space into square compartments. Minimize storage furniture! * Kitchen: Focus on the ease of cleaning, not the ease of use. Put nothing in the counters or around the sink and stove top. Put kitchen scraps for composting in the freezer. Sort kitchen komono into implements for eating, cooking tools, and food. Fill your refrigerator to about 70% full. * Entryway: Keep your entryway as clear as possible. Slowly, between daily tasks and projects, I started to apply some of the tips and ideas in “Spark Joy” to my workspace and the office. I cleared the desktops and countertops, putting folders away before I go home. I learned to file papers right away, so that paperwork doesn’t accumulate. I added pictures of my family to remind me about why I work. Sparking joy at the office makes me I feel calmer and more in control. How cluttered are your home and office? Do you surround yourself with the things that make you happy? It’s been a while since attended a trade show or expo as an exhibitor, so when my company signed up for a local expo in Honolulu, I was both excited and nervous. Excited, because I sit in an office all day and it’s nice to meet new people. Nervous, because I’d have to meet new people. I’m a shy person, and it’s hard for me to talk to new people. Sometimes it’s even hard for me to talk to people I know! I’m comfortable with quiet on my own, but in a social setting, the quiet can become loud and tense. I did everything I was supposed to do to setup and plan our booth. I confirmed the budget, checked on furniture, wrote a press release, printed brochures, designed a poster, found a banner in storage, and organized booth shifts. Faced with long hours of talking with people, introverts like me have to do more. So here are three tips for introverts and one idea that I wish we had done. * Give something away. Introverts won’t usually stand in the aisle and bring people to their booth, so we need an inexpensive way to draw them in. A prize wheel was too expensive and a small game (a bean bag toss or mini golf) didn’t seem appropriate, so we chose peppermints. I even put stickers on them that said, “Take a mental health mo-mint” and our logo. Most people came just for the mints, but they smiled at me and made me feel less invisible. * Ask a question. Someone stopped by our booth and took a mint. They don’t look particularly interested, and they’re ready to walk away. What do I say? Could I get them to stay a little while? To avoid this awkwardness, I created a poster with an easy question and brought a stack of sticky notes and pens. Since everyone is an expert in their own lives, I chose a question that anyone could answer: “How do you keep young?” People actually stopped and wrote advice, like “Exercise” and “Keep young friends” and “Stay away from toxic people.” Other people stopped to read the notes on the board. And I had a reason to talk to people. * Meet the neighbors. Who works the same hours at the expo and is a captive audience? The staff at the nearby booths. When there are lulls in expo traffic but you can’t leave your booth, talk to your neighbors. I met a man who built a treehouse in his backyard and a woman who used to do pottery and a few people who “crossed the aisle” to meet us. “Did you come to the expo last year?” and “Do you think it’s busier than last year?” are good introductory questions, if you’re not sure what to say. * Make a meeting. There are times when staff are alone at the booth, and the booth looked empty. At the next expo, I would ask staff and coworkers to make appointments with clients, partners, vendors, and donors – and meet them at our booth. We could have short meet-and-greets in an informal setting, and even meet their family. Longer conversations could move outdoors or to the concession area. Admission was free at this particular expo, so it wouldn’t cost anything. 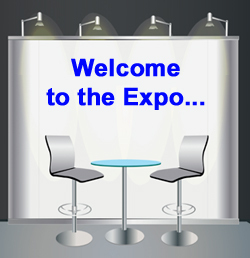 Which trade shows or expos do you attend? Do you find expos exhilarating or exhausting? You are currently browsing the Better Hawaii weblog archives for October 2017.